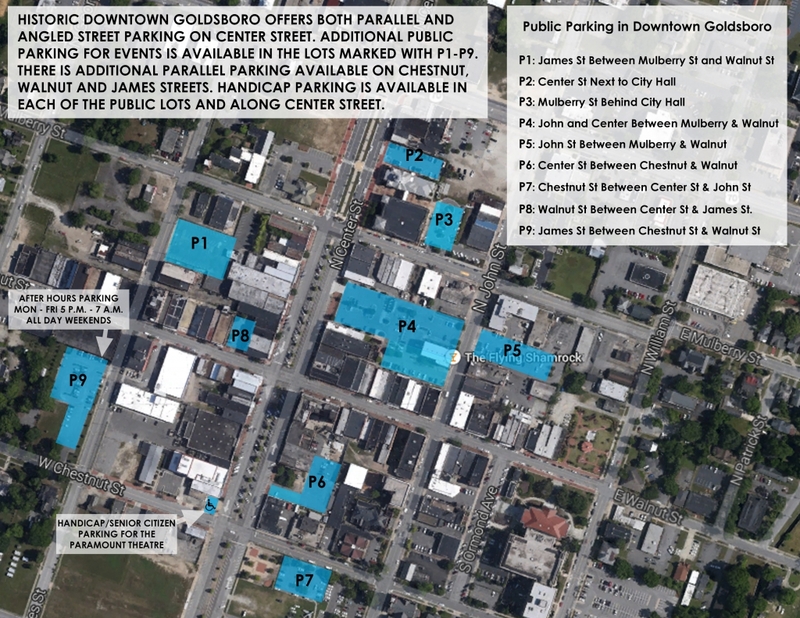 The NC Poultry Festival is held along Center Street in beautiful Downtown Goldsboro, North Carolina. Parking can be found along most side streets, and in multiple public parking lots. Reference this Downtown Public Parking Map to take advantage of all downtown parking options. 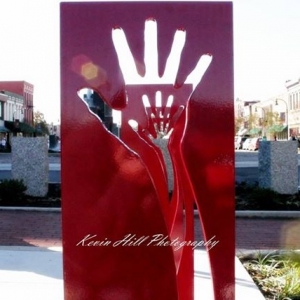 If you need help with directions, feel free to call us at (919) 735-4959. From Kinston – Take US Highway 70 West towards Goldsboro, Smithfield and Raleigh. Proceed for approximately 17 miles. You will be on the Martin Luther King, Jr. Expressway once inside the Goldsboro city limits. Take the Cherry Hospital/Ash Street exit towards downtown Goldsboro. Turn right onto Ash Street and proceed for approximately 1.5 miles. Take right onto S. Center Street at the traffic circle. From Wilmington – Take I-40 West towards Raleigh. Proceed for approximately 75 miles due west. Exit onto NC Highway 403 North/US Highway 117 North towards Mount Olive and Goldsboro. Proceed due north for approximately 20 miles and take the Cherry Hospital/Ash Street exit towards downtown Goldsboro. Turn left onto Ash Street and proceed for approximately 1.5 miles. Take right onto S. Center Street at the traffic circle. Click Here To Use Google Maps! Look for bicycle racks along Center Street and within the center median to safely park while visiting our downtown businesses. 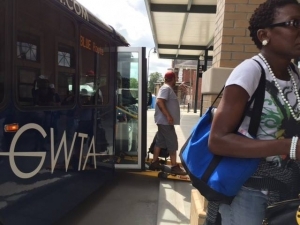 The Goldsboro Wayne Transportation Authority provides alternative transportation in and around Wayne County. The new Transit Center is located at 103 N. Carolina Street. For a full map and schedule of GWTA, click here.